In February we held our first Glasgow and Edinburgh Green Tease events of 2016, both addressing the relationship between artistic practices and the theme of ‘sustainable cities’. The two events presented different opportunities to consider this relationship, one looking back at an artist residency which James Winnett held with the Sustainable Glasgow team of Glasgow City Council in 2015, the other looking forward to the Edinburgh Sustainable Development Partnership’s ‘Community Plan’, discussing how artistic practices might play a part in this. In spite of their different contexts, both events raised the question of whether artists can offer alternative ways of thinking about cities and their ability to address the issues of sustainability and climate change. Together with Christine Downie (Project Manager, Sustainable Glasgow), James relayed his experience of being part of the team for ten months and how he approached the brief of responding to the Green Year 2015 programme: a themed year celebrating Glasgow’s ambition to be one of the greenest cities in Europe. Over the course of his residency James attended Sustainable Glasgow team meetings and events across the city, whilst also researching Glasgow’s urban planning archives, exploring the city’s historical engagement with sustainable futures and visions of the model city. Situated in the city council offices rather than his usual studio, James adapted his practice to the environment around him, taking a more desk-based, research-led approach and making a series of miniature objects which were displayed in the office, creating a point of communication and exchange with his colleagues. A key line of enquiry became the question of how sustainability is represented and evidenced in the city, drawing on the diverse ways in which the term is interpreted. Even within the small team of Sustainable Glasgow he encountered a diverse set of approaches to the area including monitoring air and water quality, city cleansing, community planning and sustainable food. Rather than taking documentary approach to the Green Year programme, James saw his role as one with a critical distance from events, able to provide a different perspective on the ways the council operates and controls its image, and its relationship with local residents. 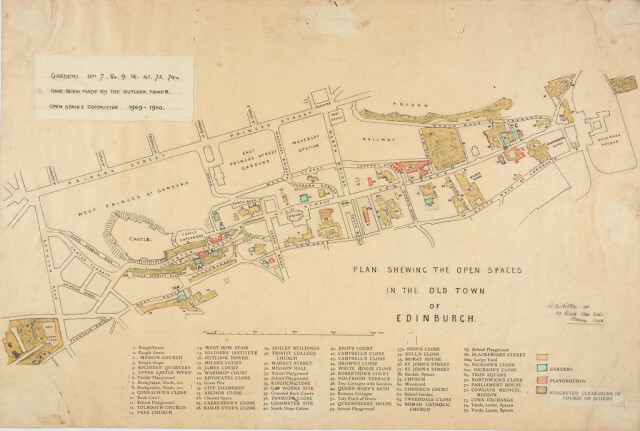 How can cultural practices be part of making a more sustainable Edinburgh? This was the question put to the group of students, researchers, artists and cultural organisers gathered for our corresponding Edinburgh session. This question was framed in light of the Edinburgh Partnership’s responsibility for the writing and delivery of the Community Plan, the main agreement between the city and the Scottish Government which aims to improve wellbeing and secure high quality public services for the city. As vice-chair of sub-group the Edinburgh Sustainable Development Partnership, CCS Director Ben Twist, suggested that the role of cultural practices of artists and arts organisations needs to be brought to the fore of this plan (it currently doesn’t make an appearance). If we accept that climate change is a product of our wider culture – a culture of consumption, whether that be of fossil fuels, other materials or human beings – then is there not a role for artistic and cultural practices to address this wider culture and offer alternative insights into the issue? American artist Frances Whitehead’s perspective on ‘what artists know’ offers an interesting perspective on the unique skills, processes and methodologies which could be applied to this question. How do we increase understandings of the value of the arts within the sustainability world? Green Tease is an ongoing informal events programme, designed to build connections between creative practices and environmental sustainability. All Green Tease events are free to attend with refreshments provided. If you’d like to find out more please get in touch with gemma.lawrence@creativecarbonscotland.com.